Deviating a bit from my last posts as the best “new” beers of the year, I’m going back to a topic that usually gets a lot of great beer talk going throughout the Eastern Iowa beer lovers: The Best Beers of 2013! Now, all of these beers have to have been available for purchase at any Eastern Iowa beers stores, brewpubs, or breweries. There are a few that stayed on from last year and some brand new ones this year. Overall, it was a really great year for beer in Eastern Iowa and the future continues to look promising. These are all beers I’ve TRIED this year, I have some that are still in the cellar that haven’t been cracked, so I might have left some off. Feel free to email me your list of the best in Eastern Iowa or your state this year! I’ll do this in 5 installments, so without further ado……. My favorite release so far from the folks in Solon, IA. A wonderfully balanced double IPA that gives you the citrus, reisonous pine, and the balance of the malts that we seek in our double IPAs. If you haven’t visited this place, the beer is excellent and food is just as good. A must visit location if you are in the Cedar Rapids/Iowa City area. A dynamite combo is this double IPA with their Korean Chicken wings. My mouth is watering! I’m not sure if I’ve wrote about a beer as much as I have about Mornin’ Delight. The original release garnered a bit of publicity, but it has blown up into much more since that wonderful Saturday morning in Decorah. This and the Kentucky Brunch release might highlight my favorite beer moments of 2013! The trade demand out there is incredibly high for this brew so if you still have a bottle of the greatness, count yourself lucky! Brewer’s Choice, debuted at Great Taste of the Midwest 2011. A Russian Imperial Stout. Breakfast of champions, just add pancakes. Made with real maple syrup and a super secret brewers’ ingredient. There’s part 1 of “THE LIST”, stay tuned to more in the next few weeks! Don’t agree or do agree? I would love to hear your thoughts, unless you’re an uppity prick, then nevermind! Here’s Who’s Coming to Coralville Brrr Fest!!!! I feel a few of those beers don’t really deserve the Beer Advocate and RateBeer scores they received. BCS is close after some aging. I find fresh BCS to be more bourbon in the nose and on the palate than I feel a beer should have, a bit of aging helps to balance the flavors. Personally I was underwhelmed by EnjoyBy. A lot of hype and the flavor profile was pretty much in keeping with most IPAs Stone has put out. 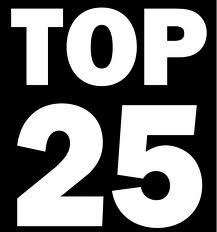 Thanks for the response, what would you put on the top of your list? Would love nothing more than to make it to Toppling Goliath for some Mornin’ Delight and/or KBBS this year. Even thinking about they way those beers are talked about and traded for, I feel even if I made it to Decorah I would be 1 of 1,000 people trying to get 1 bottle. Terrific list! 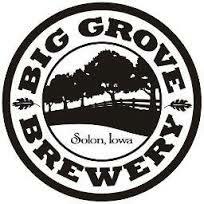 Decorah will be much busier now that the gospel of TG Brews has spread! Still great to enjoy a few beers with good craft beer people! 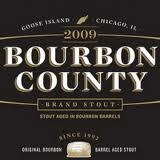 I’ve had the bourbon county and the enjoy by….enjoyed both of them greatly. 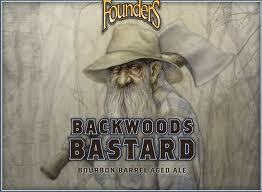 I’ll have to get my hands on some of that founders as they’re quickly becoming one of my favorite brewers. To be honest I rarely use RB or BA ratings unless I am out of town and am trying to choose between unknowns. I don’t like to look at those until I have made my own decision. Flavor is subjective.